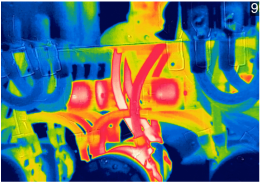 Infrared thermal imaging (IR) using a Flir T420 camera is employed as one tool to find problems not observable by visual inspection. 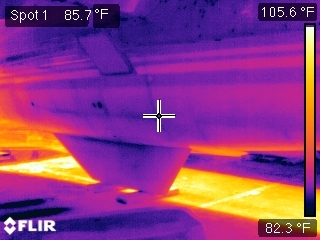 IR can capture anomalies (potential problems) by mapping temperature differences. We assist insurance companies and boat owners after boats and yachts have suffered damage. Our background is in boat building and repair. This gives us helpful insight into the damage survey inspection. Ultrasound is used with a multiple echo UT gauge to measure hull plate thickness on metal hulls. Ultrasound is used to discover flaws and damage on composite and carbon fiber hulls and mast. With a background in boat building and repair we know the challenges involved in a new build or refit of a yacht. Let us be your eyes and ears on the project.